Amanda Ansell is a contemporary British artist. Her oil paintings are about a sense of place and explore the floating subject, watery places and the relationship between painter and nature. Ansell creates paintings in which sentiment is expressed through the depiction of simple forms and overlays of colour. She reveals her preoccupation with water, familiar places and landscape. The result is a body of semi-abstract works that establish a dialogue with a tradition of self expression, reference to the self and the environment we experience through painting. Amanda Ansell was born in Sudbury, Suffolk in 1976 and studied at the Norwich School of Art and Design and The Slade School of Fine Art. 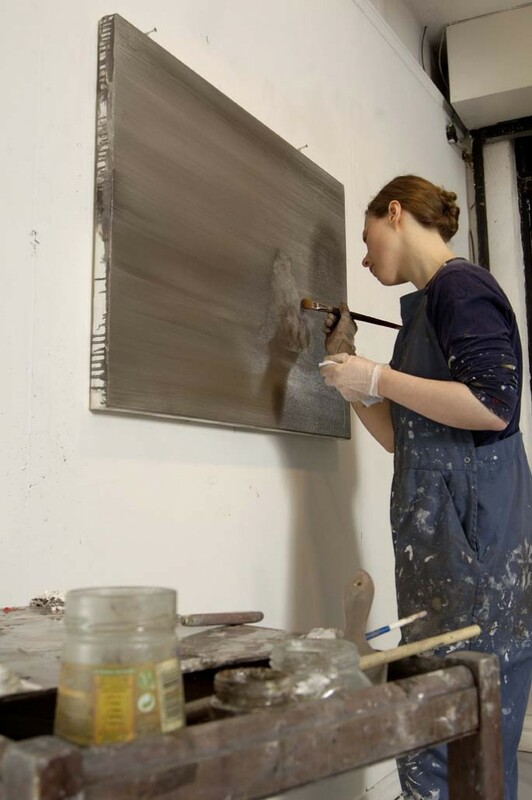 After studying and painting in London for eight years Amanda returned to Suffolk in 2006 to begin an artist residency at Firstsite, Colchester. She exhibits widely and has work in both public and private collections. Amanda Ansell currently lives and works on the Suffolk / Essex border.